Calm before the storm. Partly cloudy with highs in the 20s. Overnight Wednesday: Clouds increasing with snow south late. Lows in the 20s. 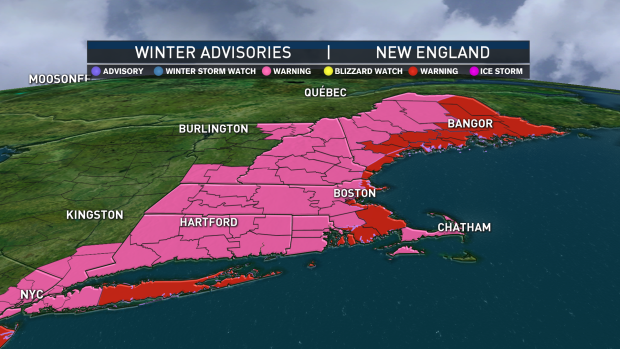 A Blizzard Warning has been issued ahead of Thursday's snowstorm for parts of Massachusetts, New Hampshire, Rhode Island and Maine. After a chilly start, temperatures stretch into the mid to upper 20s, with a few spots, such as Providence, Rhode Island, to the Cape reaching lower 30s for our Wednesday. The last time we saw temperatures like these was over a week ago. But don't get used to this slight warm-up. 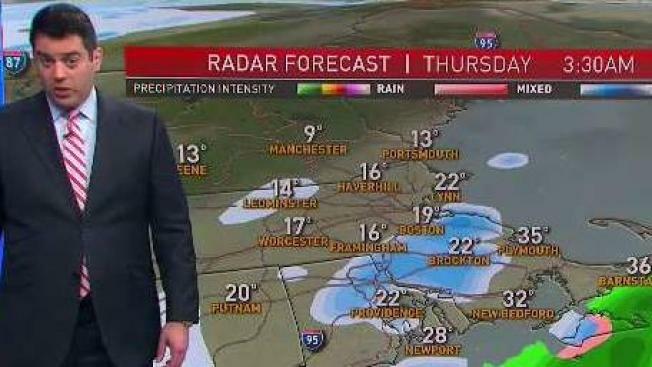 Another blast of bitter cold settles in after Thursday's strong coastal storm exits. As we look ahead to late Wednesday night into early Thursday, we have a potent coastal storm climbing up the eastern seaboard that has spawned Winter Storm Watches and Warnings from northern Florida to the Carolinas. A Winter Storm Watch has been issued for parts of our area, from eastern Connecticut, the entire state of Rhode Island, the Cape and the Islands, southeastern Massachusetts, central to eastern Massachusetts, southeast New Hampshire, and the entire state of Maine from Wednesday night through Thursday night. 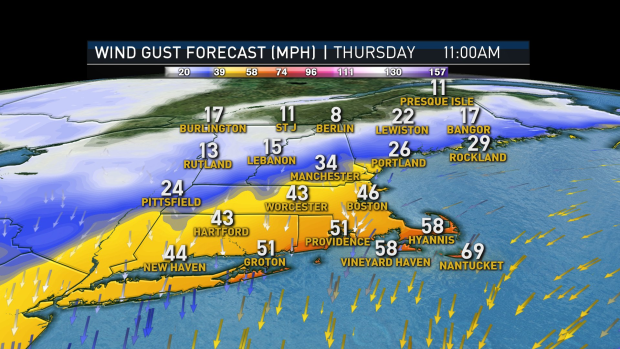 Then, there's the strong to damaging wind gusts, which could bring the most impact to southern New England. Gusts could reach between 50 to 65 mph along the Cape and the Islands, 40-50 mph along and south of the Massachusetts Turnpike by late Thursday morning. Power outages are possible with gusts this strong. Now to the snow. As far as timing, the outer bands of snow can reach southern New England just after midnight late Wednesday night. These will increase in coverage across southern New England between 4-7 a.m. Thursday morning. Not only will this system impact the morning commute, it will also impact the evening commute, as the snow ramps up in intensity from southern New Hampshire to central to eastern Massachusetts to the Cape and the Islands. Reduced visibility to white-out conditions during some of the heaviest snow bands are expected to develop by midday Thursday and continuing into the evening. Snowfall accumulations could reach over a foot from downeast Maine to midcoast Maine, spanning as far west as Bangor. The rest of the state of Maine is likely between 9-12 inches and that range is likely to slide southward the New Hampshire seacoast to Cape Ann to metrowest, and downtown Boston to southeast Massachusetts. 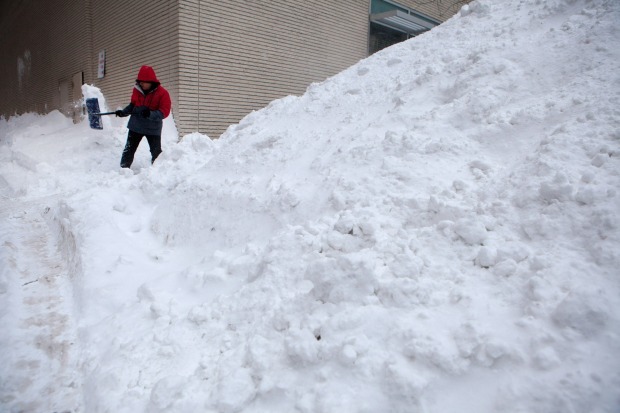 Six to nine inches of snow is likely for most of New Hampshire to central Massachusetts to most of Rhode Island. Three to six inches is expected for most of western New England (west of downtown Worcester) with the exception of the Berkshires and western Connecticut, where up to 3 inches of snow is expected. By Saturday, we're under another cold blast, possibly near record-breaking, with high temperatures struggling to make it out of the single digits and wind chills well below zero. With this weekend's cold blast, a flash freeze is possible, making for downed trees and power lines along with power outages. 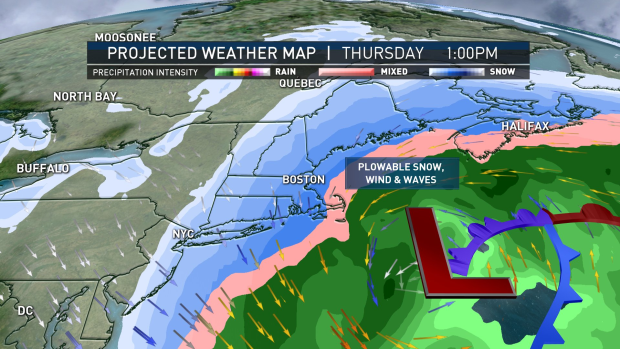 necn Weather Team Projections: When Will the Storm Hit, And How Much Snow Will You Get?